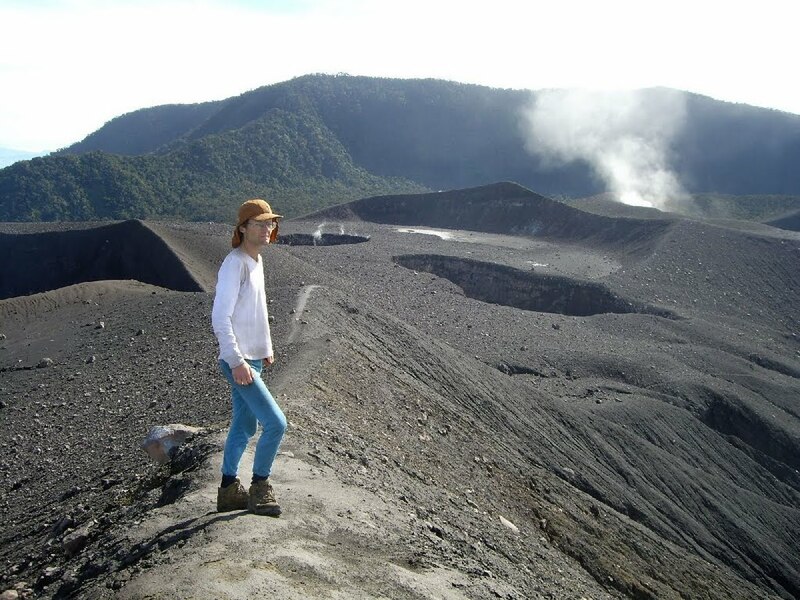 This Ribu is the most active volcano in Sumatra and is one of the most popular hikes in Indonesia. 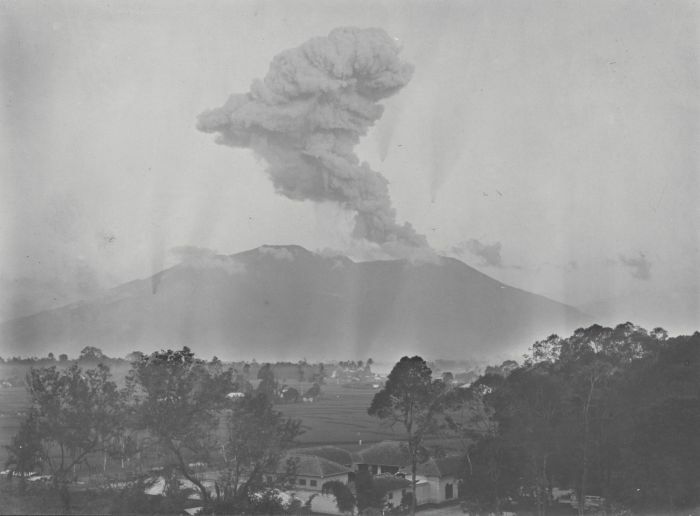 It is located to the south-east of the town of Bukittinggi and is easily reached from the main road south of the town. There are many places on Bukittinggi’s main tourist street – Jalan A Yani – where you can arrange a guide but be sure to haggle to prevent paying over the odds for what is a fairly straightforward hike, albeit onto a highly active volcano. 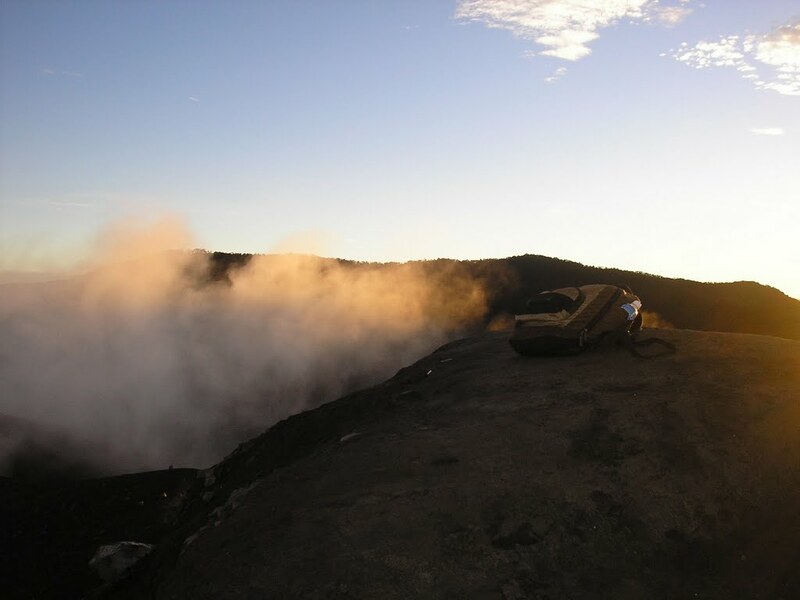 The best thing to do is to climb at night so you reach the crater area for sunrise. 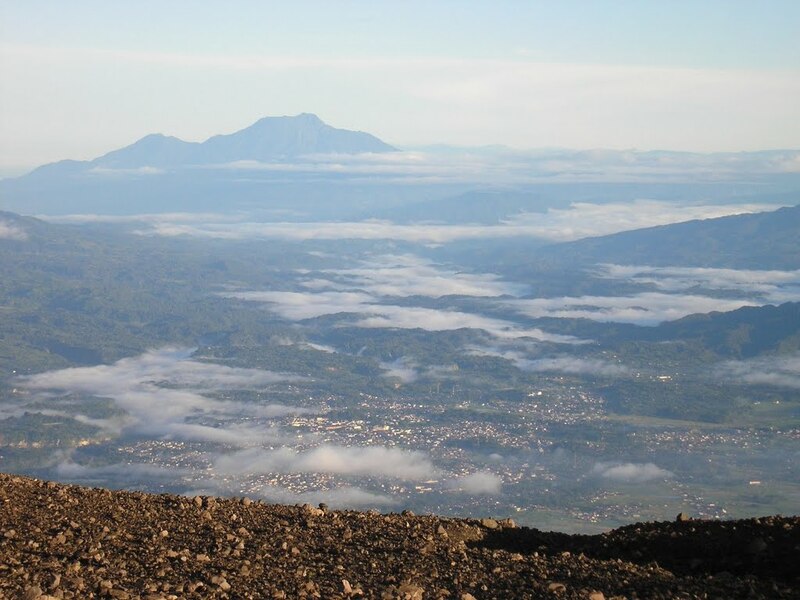 The view from the Marapi crater area is staggering – as good as that from Gunung Kerinci, Sumatra’s highest peak. Most tour guides will suggest you set off at midnight or before. 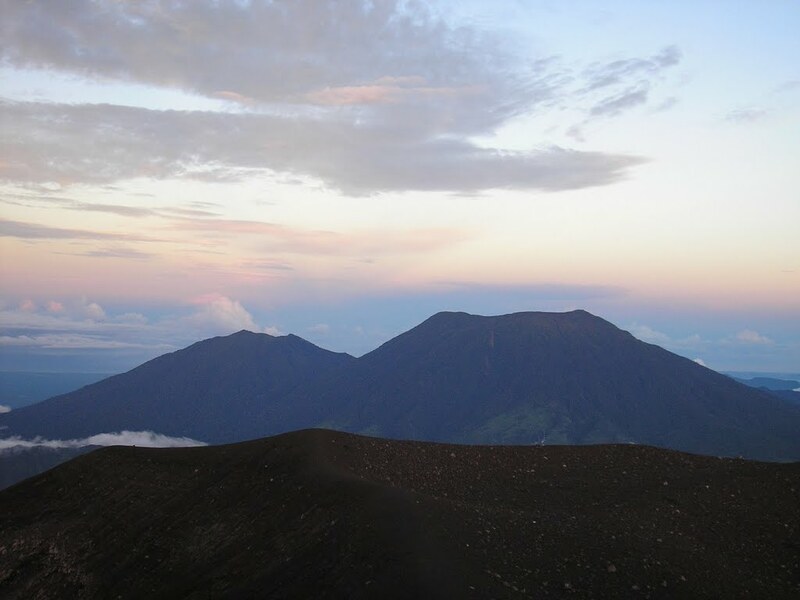 However, if you are a strong hiker it will not take you more than 4 hours to reach the crater so unless you want to freeze at the top waiting for the sun to appear it is better to start at 1 or 1.30am. 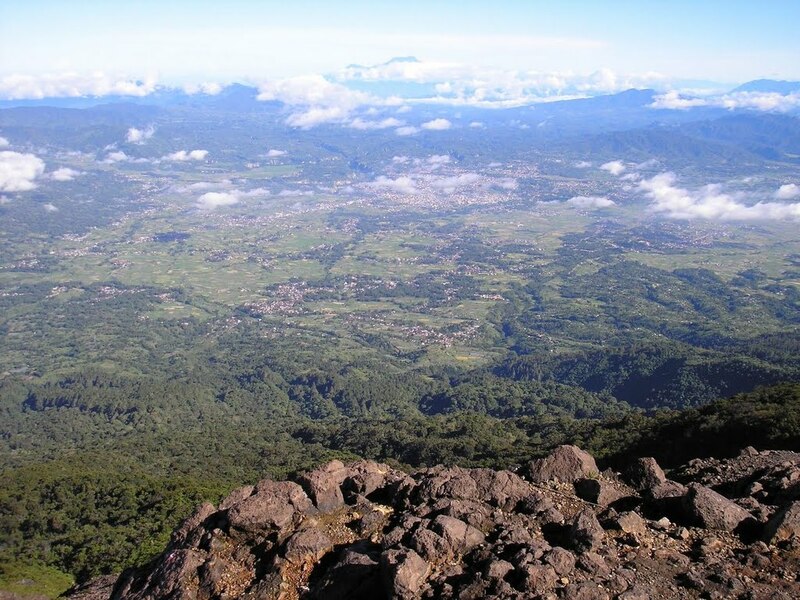 Unfortunately – and despite what 99% of local people will tell you – the highest point of the Marapi mountain range is very rarely visited and requires several hours extra in each direction. 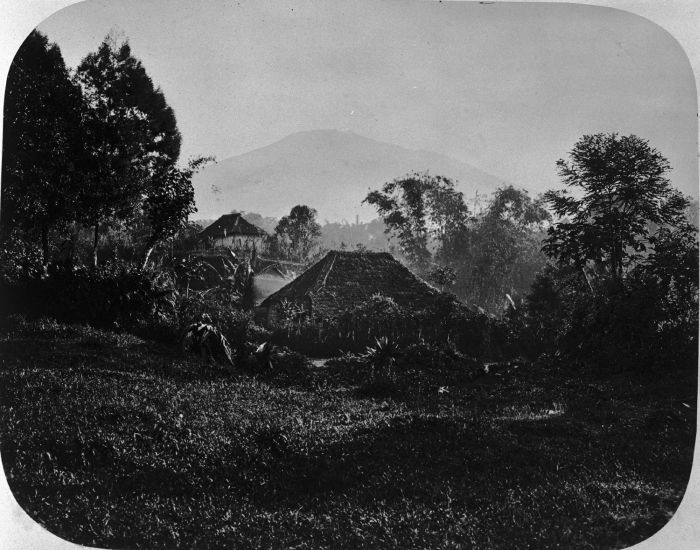 The true peak (2,891m) – known as Puncak Garuda to many student hikers and Marapi Tuo (‘old Marapi’) to some locals – lies in dense forest to the east. 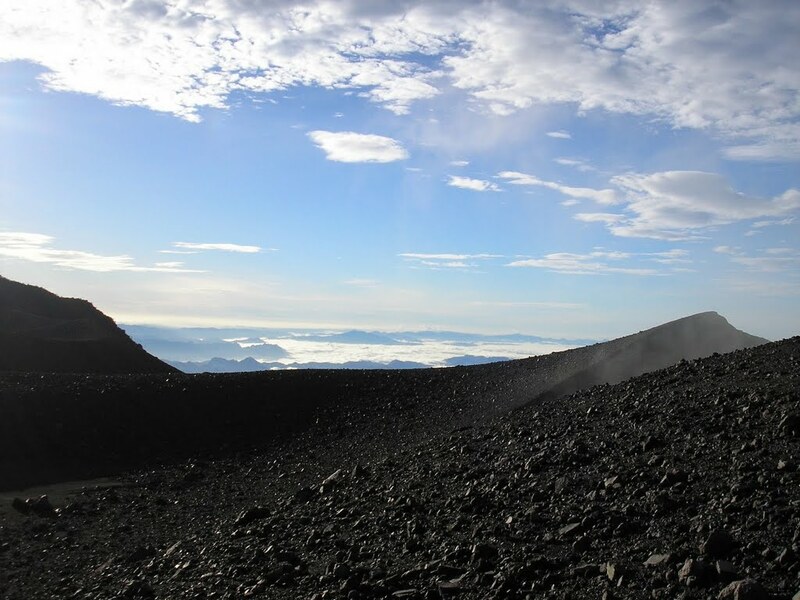 After receiving some advice from one of the few hikers who had previously reached the true summit, Gunung Bagging went with Ojat of Komunitas Pendaki Gunung Balad Soekarno in June 2013 to attempt to reach the top from the usual crater approach from Kotobaru. It was a success, as you will read below! 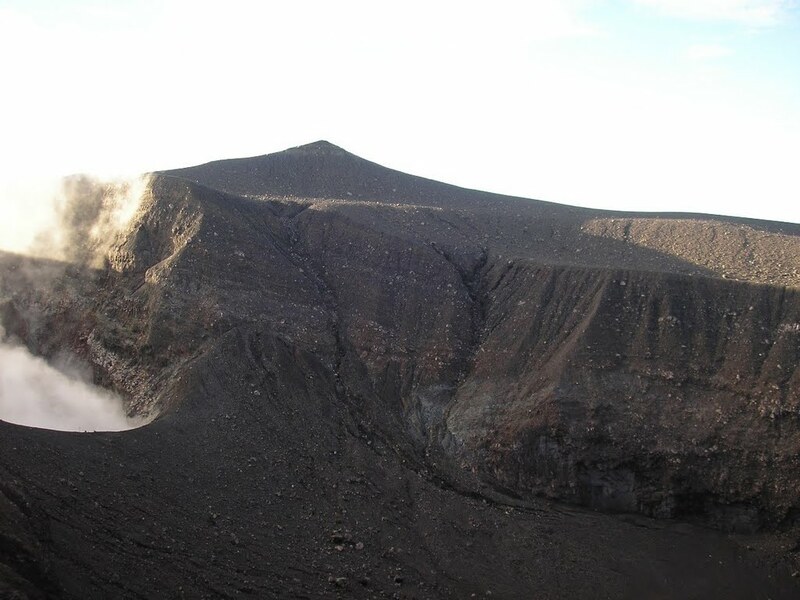 Back in 2003, a new, longer, path from the north to the true summit was opened – in an expedition which took 9 days – but it is nowhere near as popular as the route from the west as you miss the most interesting part of the mountain which is the crater complex. It starts in the village of Kacawali (1,400m) and parts of the trail are incredibly steep and demanding. It was opened by hikers from MAPALA UNAND (Andalas University Limau Manis Padang). Apparently the steep path from Kacawali is at 80 degree angles in places and it takes a minimum of eight hours to reach the top which requires at least one night on the mountain. 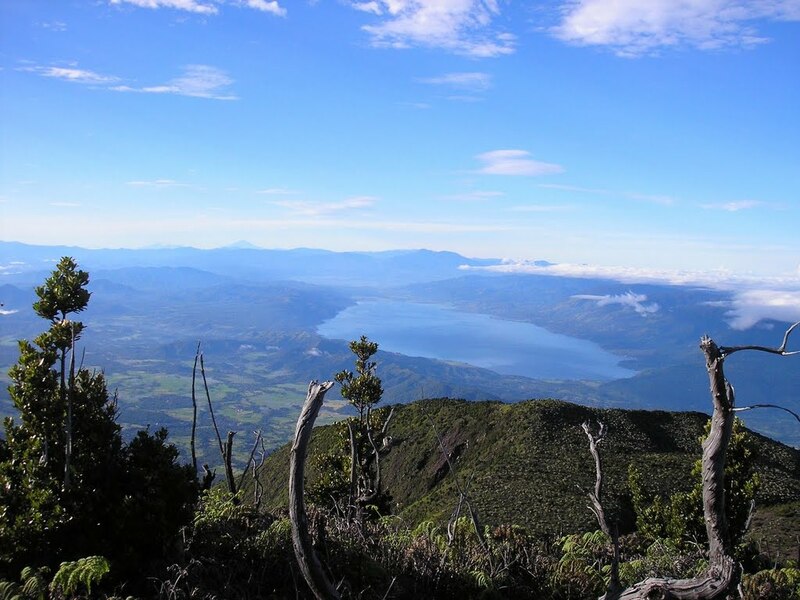 There are two water sources at 1,400m (the starting point) and 2,500m. 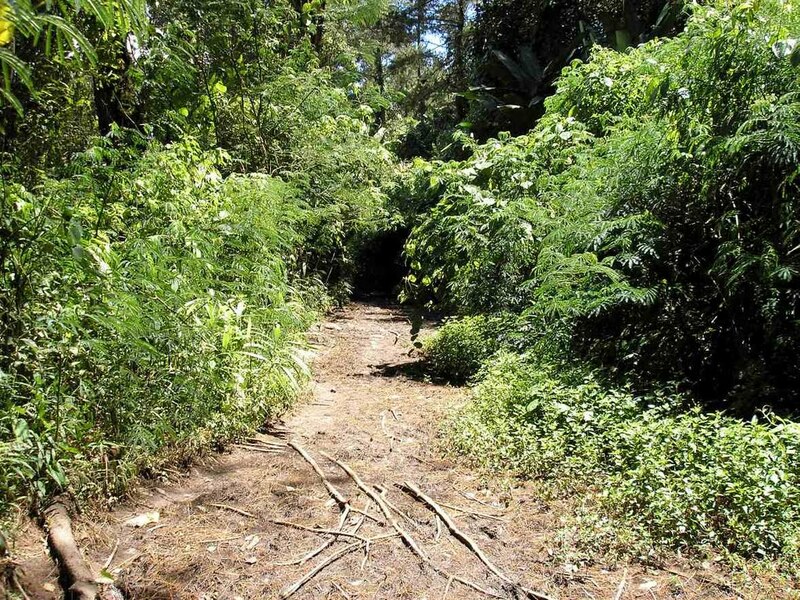 The first section is through bamboo vegetation and the difficult section begins at approximately 2,000m. There are spectacular views of a 500m high waterall at 2,400m. Very few people have hiked this way and several have become lost. Most local people actually consider the area to be haunted. 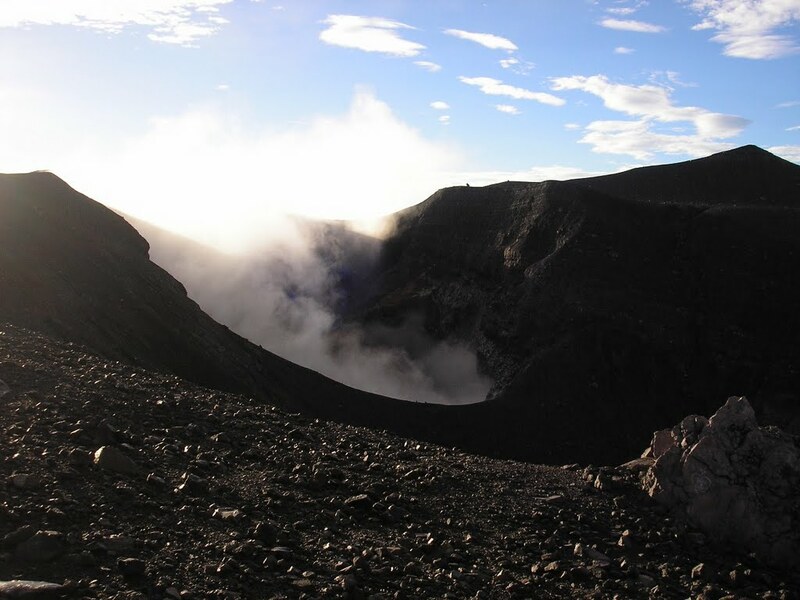 Inevitably, most people are happy enough with reaching Puncak Merpati (2,757m) which is the highest peak in the crater complex. From Koto Baru, head up Jalan Tantawi (with the signpost “Batu Palano”) and take the immediate right turn. 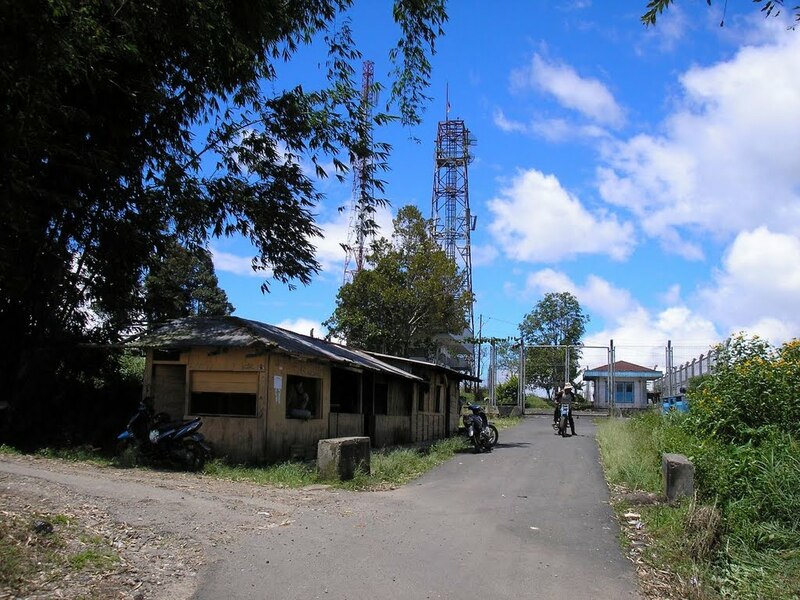 A telecommunications mast (1,320m) lies 3kms further along this road and the trail to the crater begins on a farm track next to some wooden huts where you should register. The trail leads up a track through farmland (chilies, tomatoes etc. ), and past a small, green building (1,480m) where local students often camp at weekends (there are even basic toilet facilities). The trail then goes over a bamboo footbridge (1,490m) which is basically just a load of giant bamboo stems. As per usual, this beginning section is the area which you are most likely to get lost, due to the various different farm tracks. There are many signs – often yellow – for both camping areas and water sources on the lower section of the trail. The first water source is Sumur Kodok (1,500m) which is a little pool of water to the left of the track. Then follow many flat camping grounds (‘pasangrahan’) before Jauhi Maksiat (1,540m) and another clean water source signposted at 1,575m. The second of two small metal shelters is at 1,600m. Because of its popularity the trail is very well defined and you will probably meet other hikers enroute. Yet another water source is signposted at 1,645m before the Petualang Gunung camping ground at 1,710m. After this, you find yourself on a rather pleasant ridge. Listen out for siamangs you may be lucky. 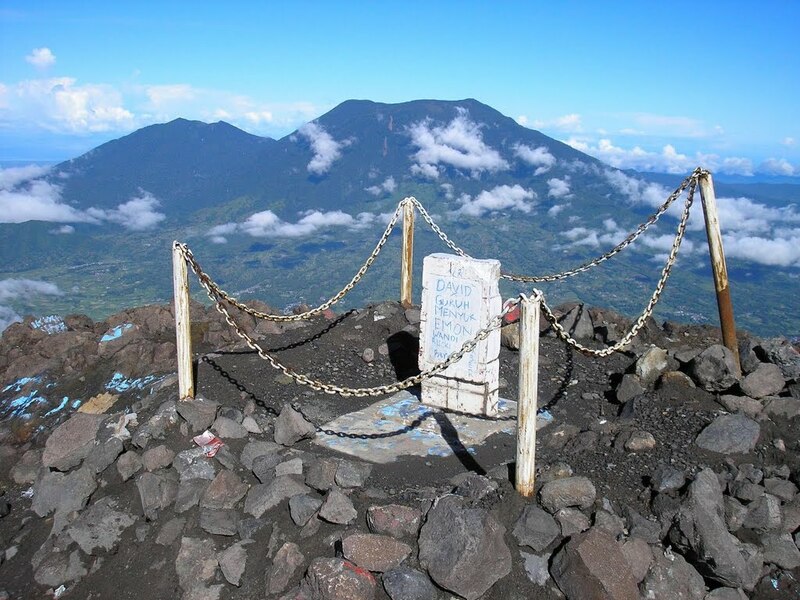 The Atas Paninjauhan sign follows at 2,200m. 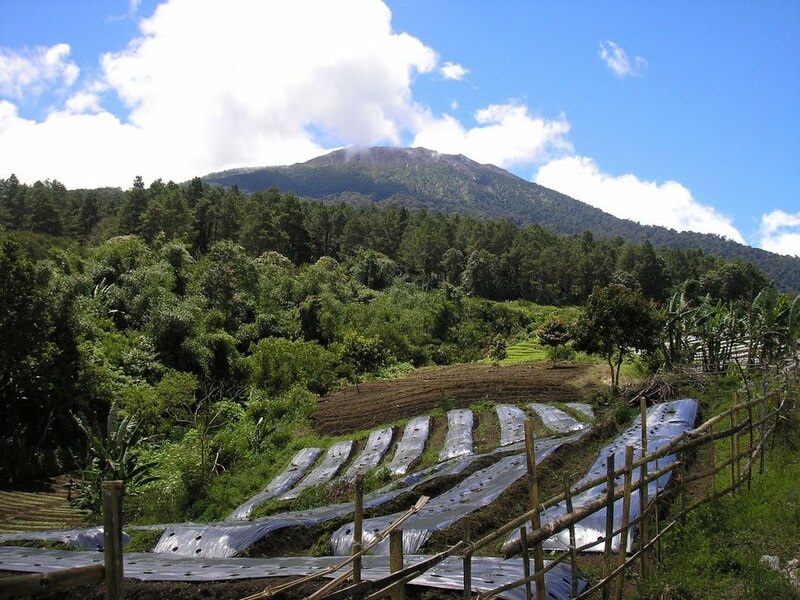 As the trail leads higher up the mountain, the vegetation becomes less dense and there are some excellent views over the Agam valley to Mount Singgalang and the town of Bukittinggi. 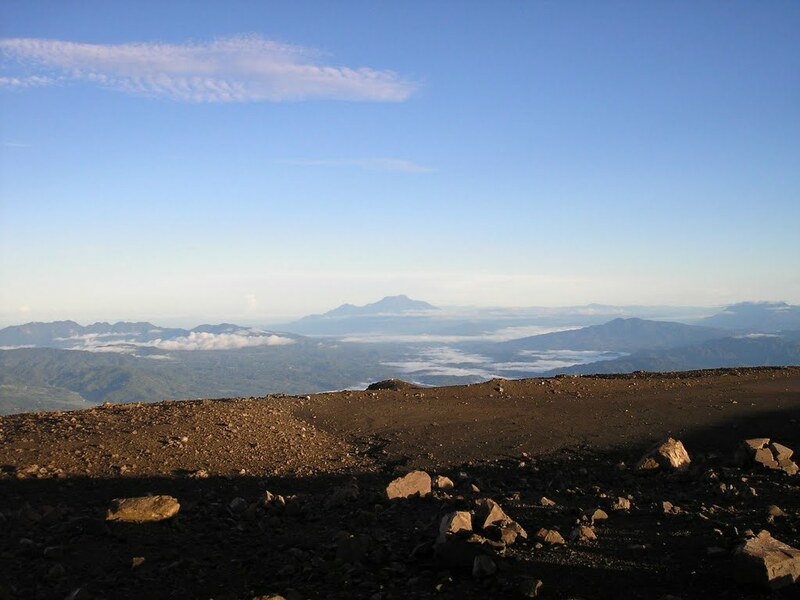 The vegetation ends at approximately 2,400m (‘Pintu Angin’) where there are many camping spots. The path then briefly drops down to what looks to be an old dry river bed, before zig-zagging up the steep rocky slop of the volcano. 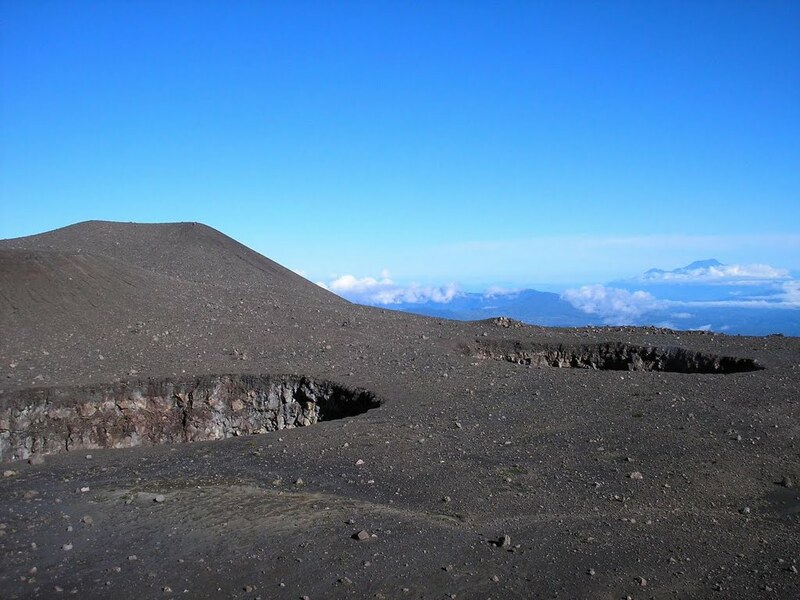 When you reach the edge of the crater area, you should see a small white monument on your left at 2,683m. This is known as Tugu Abel Tasman, named after a man who died here in a 1996 eruption. Sadly, it has been somewhat vandalised recently. 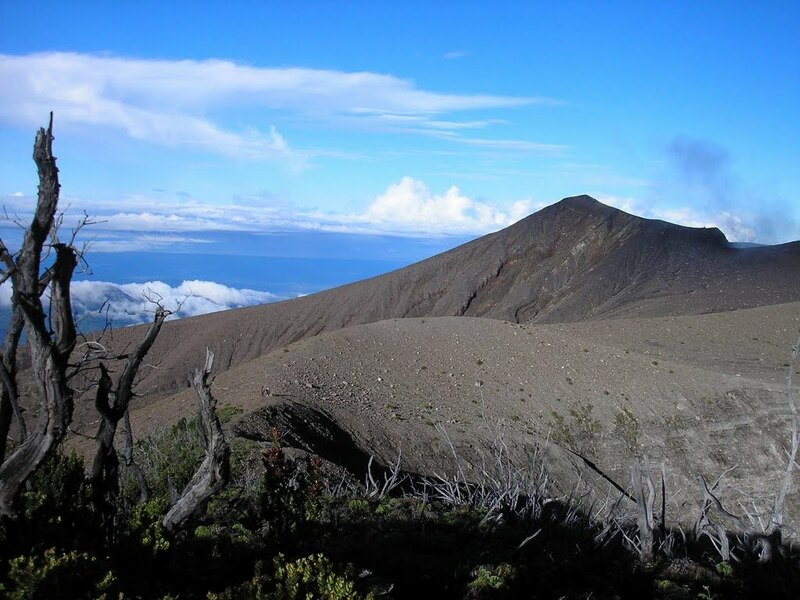 From here it is a short 30 minute stroll across both sandy and rocky volcanic plains to the ‘summit’ of Puncak Merpati (2,757m). 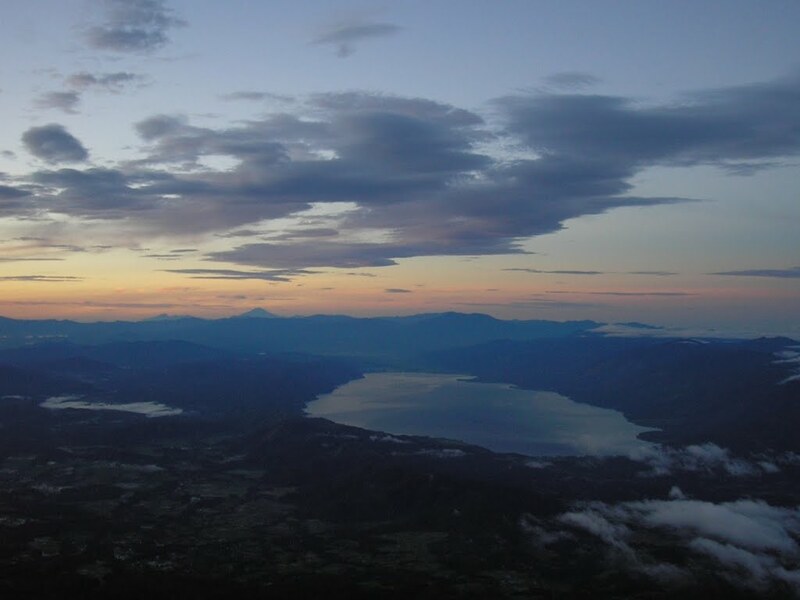 By now, the sun should be appearing and you should be able to see nearby Singgalang mountain to the west, Talakmau beyond Bukittinggi to the north and Lake Singkarak and Kerinci to the south. 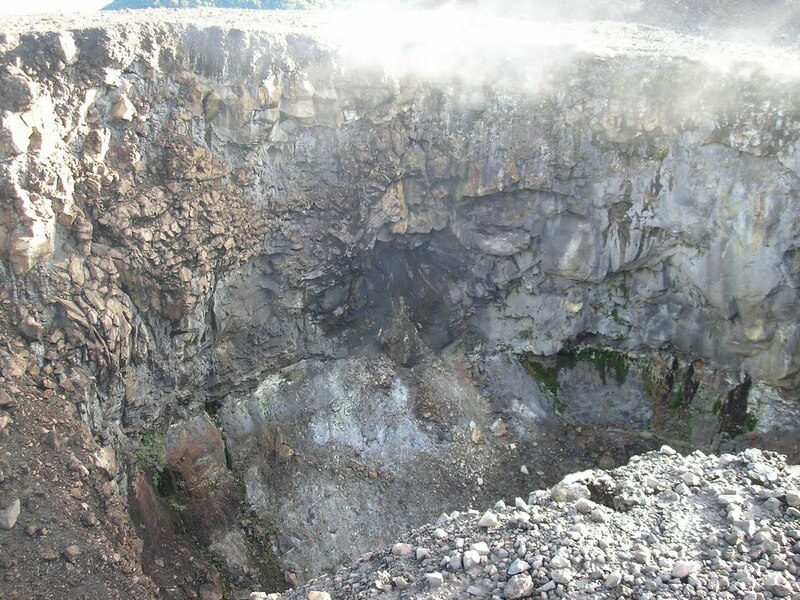 There are numerous volcanic features here – from deep smoking pits to rather peaceful looking rocky craters. It’s a bit like walking across a block of Swiss Cheese! 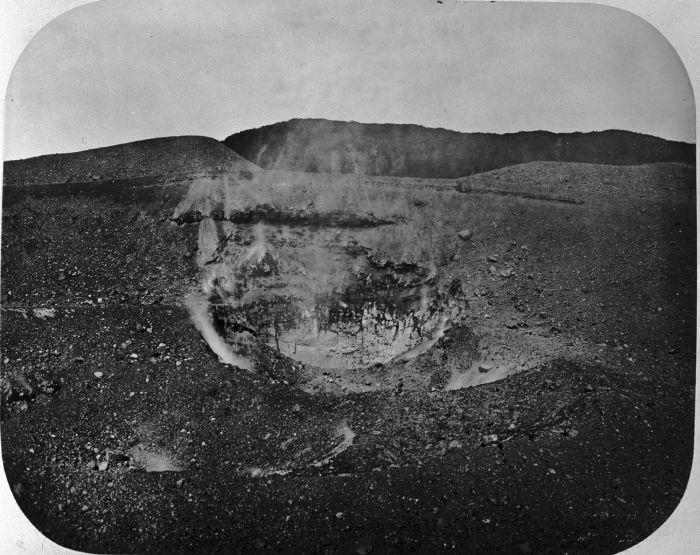 Avoid sulphurous gas as it blows over the rims of the more active craters. 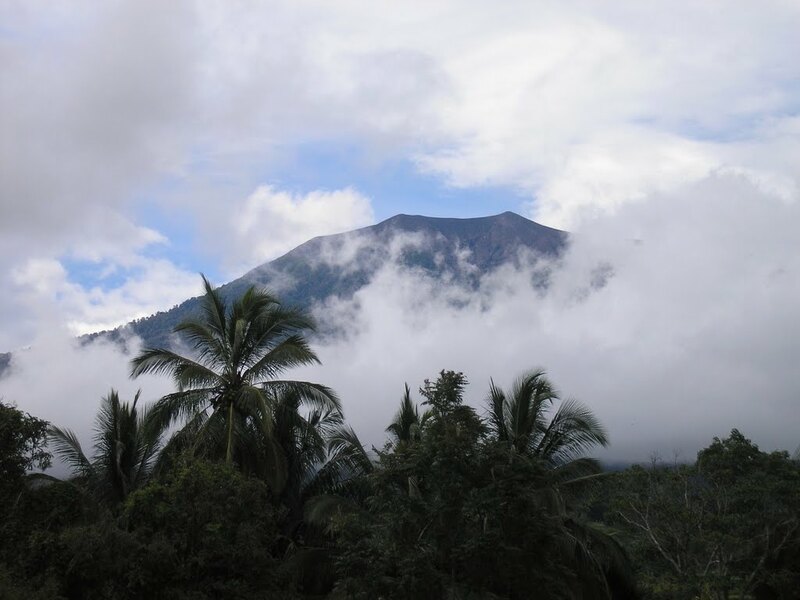 You should be able to see the true forested peak of Marapi (‘Puncak Garuda’) lying some 130 metres higher and 1.5 kilometres to the north-east. 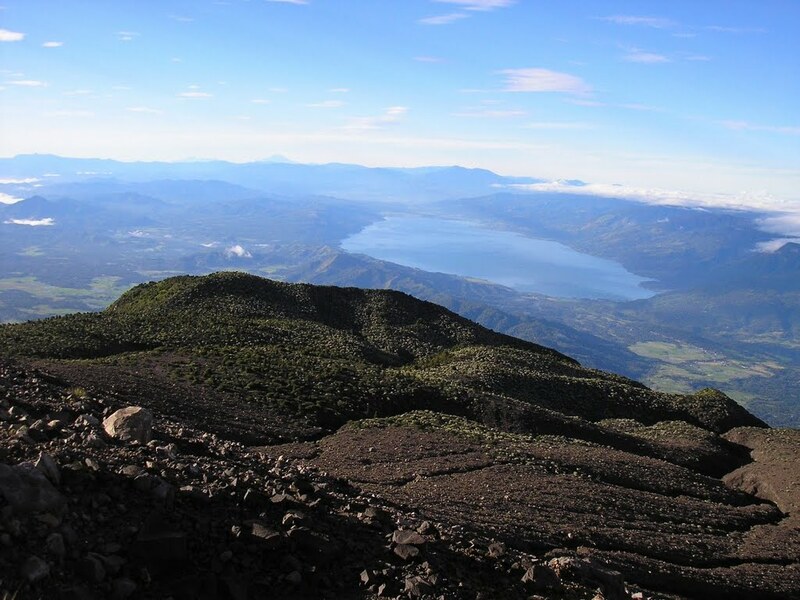 A peak really worth visiting is on the edge of the vegetated area, beyond the crater complex. It is easily recognizable because there are half-burnt trees and pleasant vegetation on its slopes. 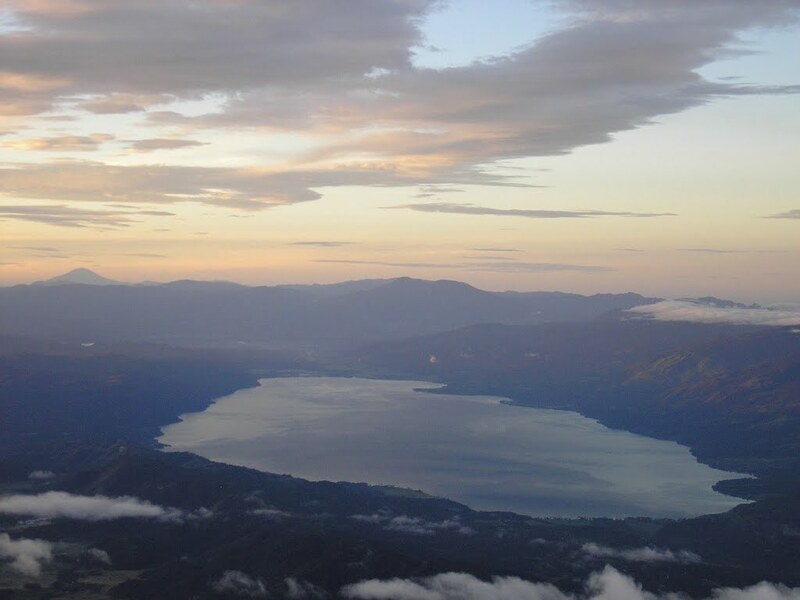 We have called it Puncak Terbakar (‘burnt peak’ due to the burnt trees near the top) (2,735m) and is perhaps the finest easily-accessible viewpoint here – especially of Danau Singkarak. 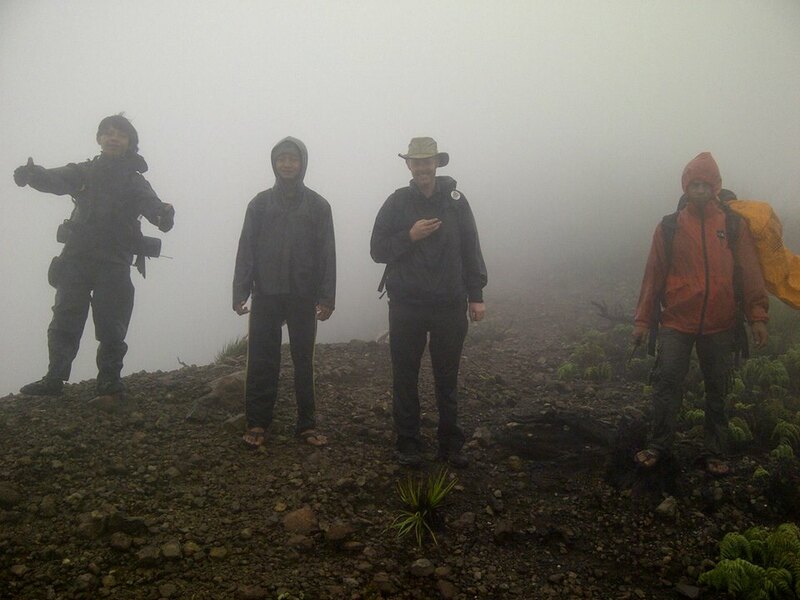 Strong hikers will have reached Puncak Terbakar in 5 hours or less from the trailhead. 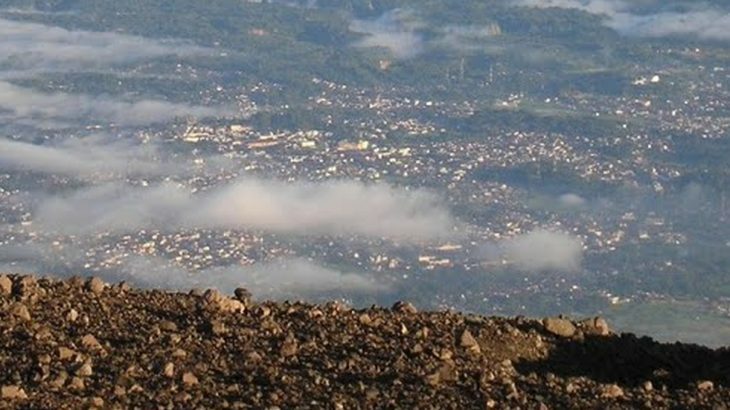 From Terbakar, most hikers are content to return the same way rather than continue to the rarely-visited true summit (Puncak Garuda). However, depending on how recently a hiking group has visited it, it is actually feasible in a regular weekend (i.e one night camping) for those who are keen to bag the highest point. In June 2013, it took Gunung Bagging just under 3 hours extra from Puncak Terbakar to Puncak Garuda (and about 2 hours to return to Puncak Terbakar the following morning) as luckily a local hiking club (Mapala Pagaruyung) had been there just a few days before and so the trail, whilst by no means being straightforward, was significantly easier to follow than had the other group not been to the true peak so recently. 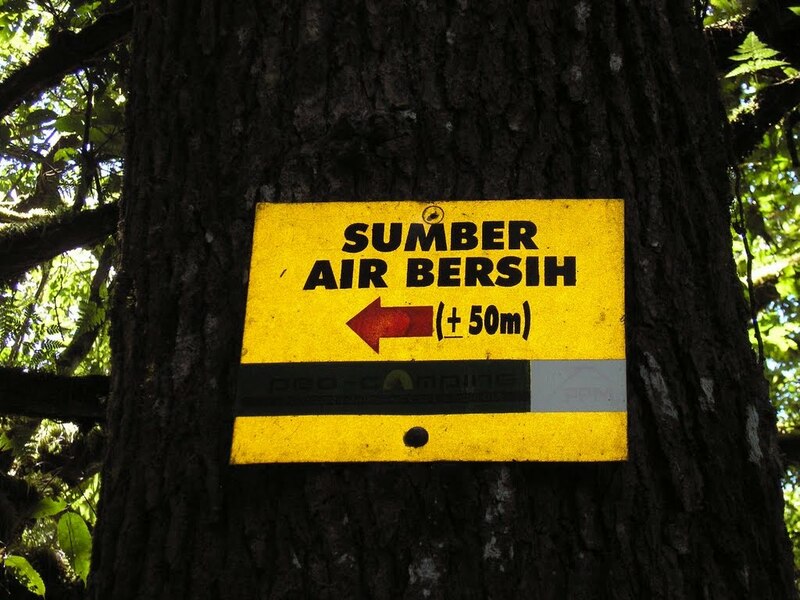 It is the first section of ‘trail’ after Puncak Terbakar where you are most likely to struggle to find the correct way. You need to drop down a bit to the right through an area where lots of Edelweiss grows (Taman Edelweiss) before hopefully finding some coloured string attached to a the branches of trees and bushes every so often. 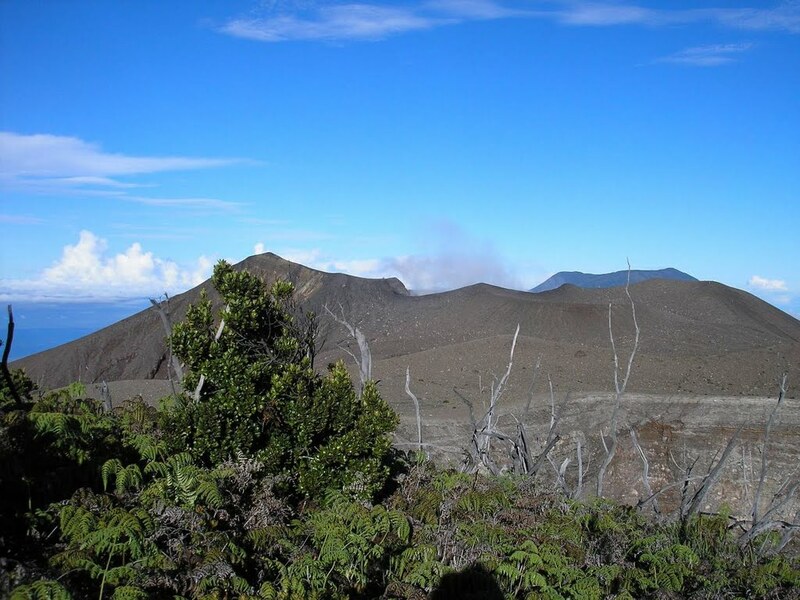 Because of the density of the vegetation, the views are rather limited in most directions although on the higher slopes you may catch a glimpse of the active craters below in good weather. After enjoying the pleasant obstruction-free stroll across the craters earlier, most hikers will likely be horrified by the density of 3-metre high bracken which requires one to get down and crawl on all fours at certain tricky sections. Tall hikers or those with big rucksacks (i.e carrying tents) will be particularly annoyed by this. Don’t leave anything on the outside pockets of your bag or it will probably just get ripped off or be completely muddied. After an hour or so of truly unpleasant hiking, the trail becomes slightly clearer, with logs to clamber over instead of dense bracken. 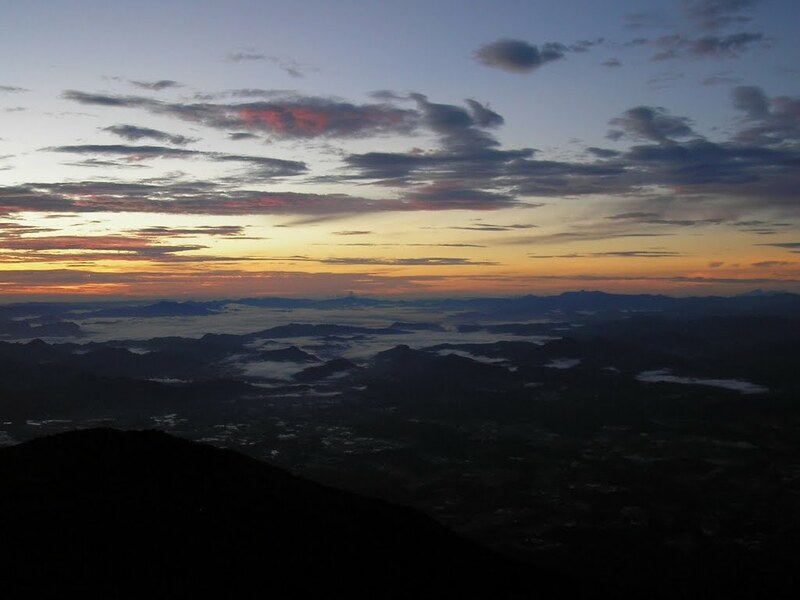 There is a small spot which , although far from ideal, can accommodate two small tents (2,790m) about 500 metres away from Puncak Garuda. However, those with energy and daylight on their side are encouraged to continue for another 45 minutes to the summit which is by far the flattest and clearest area on this side of the mountain range. The summit itself is crowned with a few metal signs nailed to the taller trees by Mapala Pagaruyung (in 2013) but there are no decent views to be had here and the rumours of an old triangulation pillar (hence being known as Puncak Triangulasi to some hikers from Padang) appear to be unfounded. If there was a pillar here it is either hidden in the dense vegetation or long since crumbled. Let us know if you spot it! 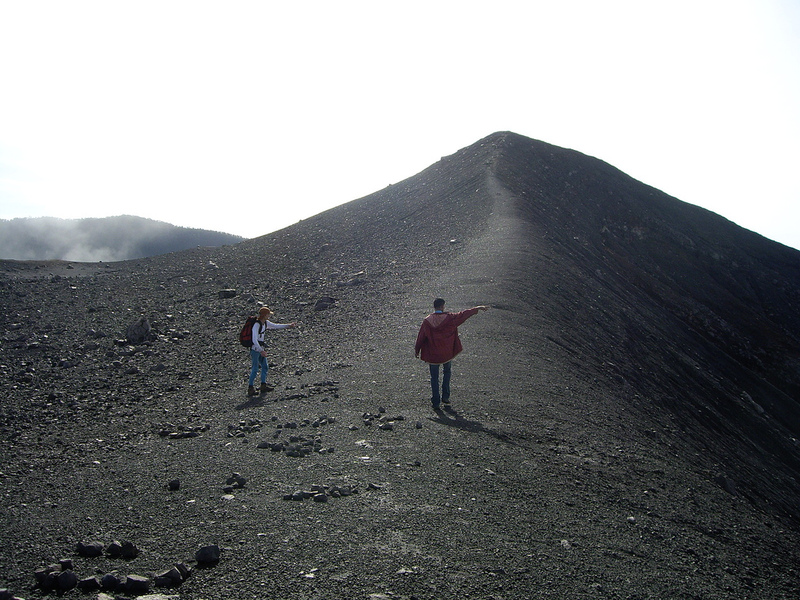 If you are interested enough to attempt to reach this obscure top, we definitely recommend hiking via the route from the crater rather than from Kacawali on the other side. This is especially the case at the moment as the trail is marked with bits of pink and green plastic and is likely to be the least overgrown it has been for a long time. Getting there: The nearest city is Bukittinggi, the nearest airport is Padang, which is about 2 and a half hours from the mountain. Accommodation: There is no accommodation in Kotabaru – it is best to stay in one of the many hotels in Bukittinggi – try the Jalan A Yani area and enjoy a beer at the Bedudal Cafe! Permits: Register at the warung near the starting point above Koto Baru – take a photocopy of your passport photo page just incase they ask for it. You will have to pay about Rp20,000 per person (2017). 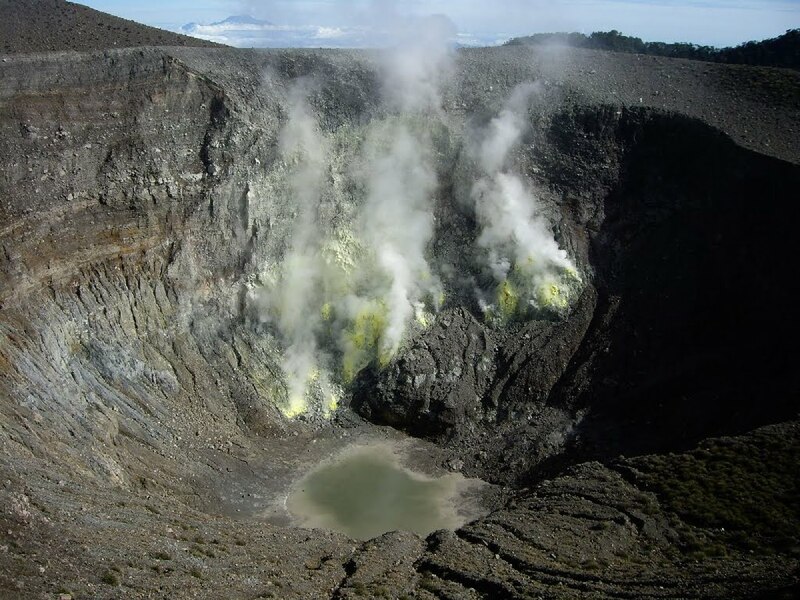 Water sources: On the usual route to the crater area there are plenty of water sources on the lower slopes (look out for the signs – ‘Air’). On the obscure route from Kacawali, water is apparently available at 1,400m and 2,500m. Sumatera Barat Tinggi Sedang. permalink. Climbed Mt Marapi early March 18. Rather easy and straightforward hike. Reached the rim in 2h50 and descended to the starting point in 1h40. Impossible to get lost, just follow the rubbish… (actually not that much unless near Pintu Angin). Gunung Bagging GPS track is great as usual, the trail is also mapped on Maps.me app until the rim. I was rather late and started hiking around 9:30AM. Summit was still looking clear from the bottom and I decided to give a try. Ended up with clouds covering all the views from the top. So late morning starts not really recommended at least during this season. 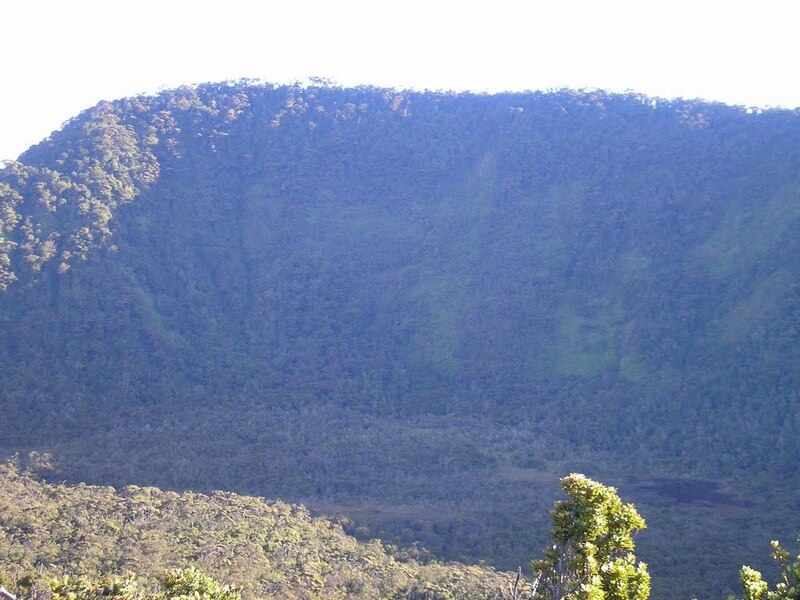 The crater is impressive though and you can easily spend an hour on top. From Bukittinggi the best solution is to order an ojek through Go-jek app. Rate is only 20k from town to Pos Pendakian. Otherwise take a red angkot to Pasar Padang Luar (2k) and from there hop on a blue angkot going to Koto Baru (5k). You’ll still need to cover another 2,5km to Pos Pendakian. The entrance fee is still 10k but as a foreigner (I guess) I was asked first 25k. I got the actual fee pretty easily but I speak Indonesian without foreign accent, it probably helped. My friend and I started at 8pm from the posko with headlamps. It was a Saturday, and it was crowded! I’ve never seen so many people on one volcano! A lot of young people from Bukittinggi and surrondings, bringing guitars, hammocks etc. Even starting at 8pm, there were people joining us. You need to register and pay 20.000 Rp. No need to take a guide, many many signs for the camp aeras, for the water sources, for the trail, even by night. Climbed it in March 2015. Dense vegetation but do-able as few others hikers were trying too. You mean to the true summit the trail is better now? 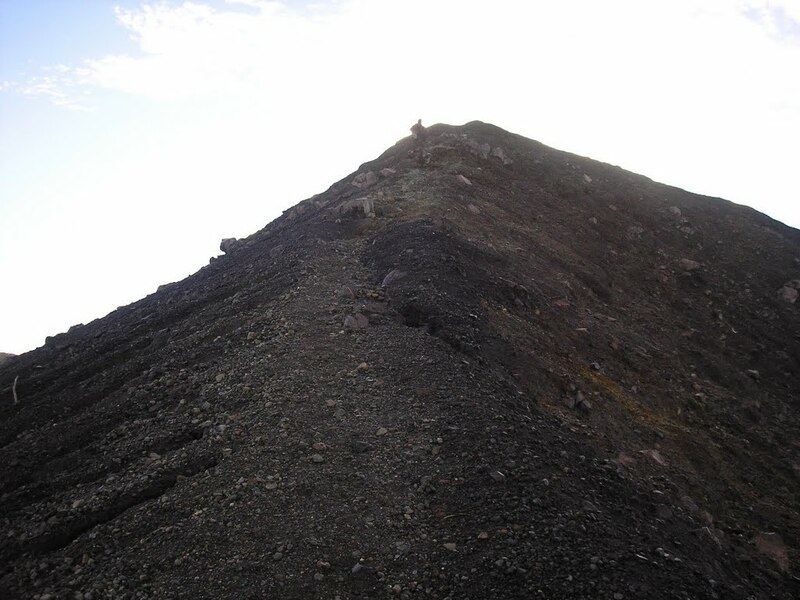 How much time did it take you to go from the crater area to the summit? Just want to thank you for all the tips and well detailed info, unfortunately Sumatra is not tourist frisky at all and would be impossible without your info. 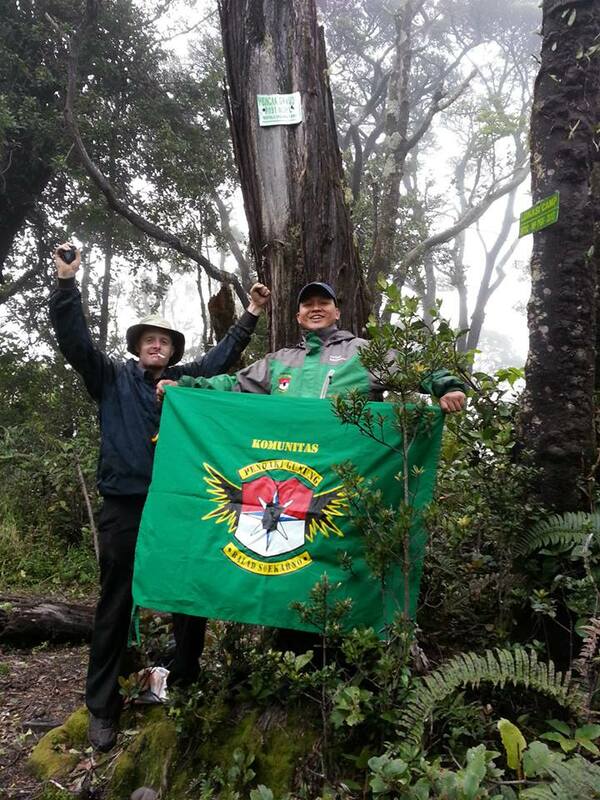 Delighted to have made it to the true top of Puncak Garuda with Ojat and Rizal on Saturday. 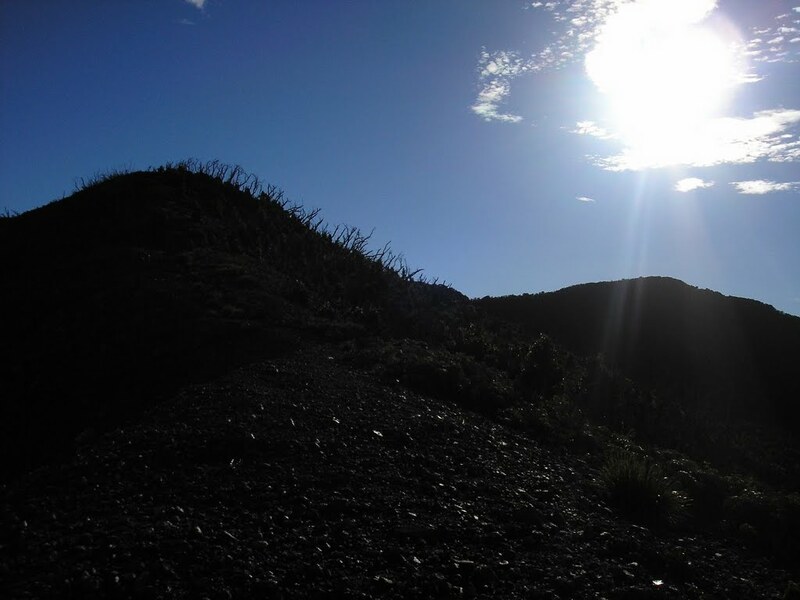 To be perfectly honest, I wasn’t too hopeful of success, but having met another hiker on Talakmau who had apparently been there via the usual Kotobaru crater route it sounded like we should give it a go. 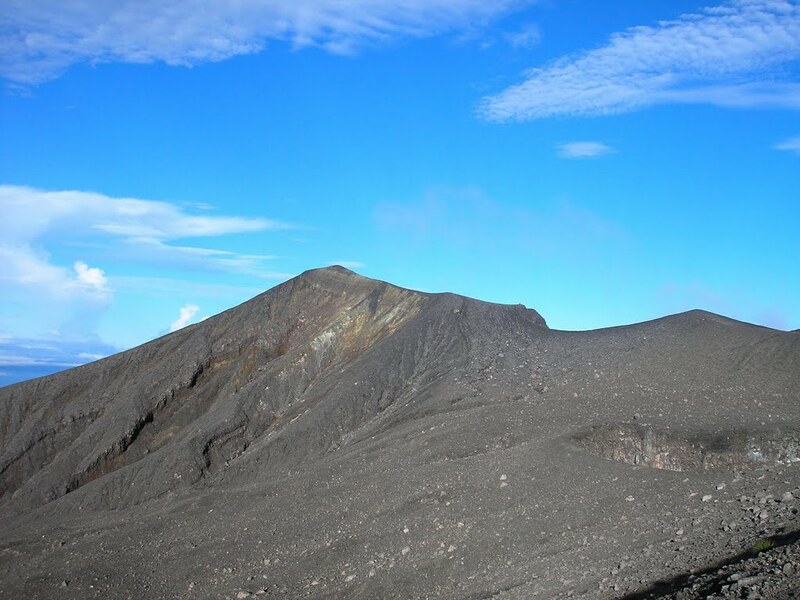 I first visited this fabulous volcano back in 2010, 3 years after Rob Woodall and team climbed and were disappointed to find that there appeared to be no trail to the true highest point of the mountain (99% of guides say Merpati is the highest despite it being over 100 metres less high than Puncak Garuda the real peak). Anyway, despite fairly poor weather (navigating this complex multiple crater area can be very tricky in mist – take a GPS and make lots of waypoints) we were up at Puncak Terbakar (as I have decided to call it as it appears nameless) in just over 4 hours. First we followed the trail that is most well defined and leads in the correct direction towards the higher forested ridge. It ends abruptly after just a few metres. Then down to the left which took is basically in a circle of tiring scrub bashing. After 90 minutes we were back up at Puncak Terbakar and I was thinking that our chances of making it to the peak were very slim indeed. The idea of a pizza and bintang back in Bukittinggi started to emerge in my mind. Anyhow, Rizal found a minor trail down to the right through an Edelweiss-covered area of low shrubs and low bracken (contract with the horrifically high bracken later on) and we spotted a couple of green strips tied to branches! Brilliant. So, we followed this and laid some pink ribbons too. The going was terrible after a minor descent to around 2,650m. I have never spent so much time crawling on my knees swearing. We were moving very slowly and I was having to take off my backpack every couple of minutes so that I could crawl under dense bracken. After an hour of this the trail improved and there were more ‘puncak’ signs nailed to trees and very recent knife marks on branches. Indeed, it turns out we were very lucky as the local Mapala Pagaruyung hiking club had ‘cleared’ the trail for us just a few days before! Thank you ever so much! It would have been immensely overgrown had they not been there so recently and perhaps we wouldn’t have made it to the top and back in such a short time. Some members of our group were tiring so we decided to set up camp in a lumpy but reasonably spot well sheltered from the wind and just 500m away from the highest point. The off we went in the low cloud to find the true top. A couple of lovely trees, signs and a flat area – and only 40 minutes or so further on. It had taken us just under 3 hours from Terbakar to reach this point. With a clearer trail (i.e if people used it regularly) you could do it in an hour perhaps! Anyway, success! Back at the camp the wind picked up and the cloud stayed low all night. We had a bit of light rain and the weather was generally poor for the rest of the hike the following day. Extreme weather according to Rizal. To me if felt like a grey day on top of a Scottish mountain. 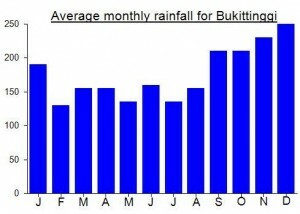 Either way, the start of the ‘dry season’ in Indonesia has been very disappointing this year so far. The next day we were back down from the camping spot to the trailhead in just 4 and a half hours (mainly because it was so cold and grey!). I went off to Bedudal for a pizza before waiting for the greatly delayed Lionair flight back to Jakarta from Padang. It was due to arrive in Jakarta at 22.35 but it was about 01.35 by the time we landed. Delayed due to bad weather apparently. I can’t really recommend the hike to the true peak to anyone other than obsessive baggers, due to the overgrown nature of the trail, but the volcano crater area of Marapi is one of the finest natural places in Indonesia (in good weather anyway). 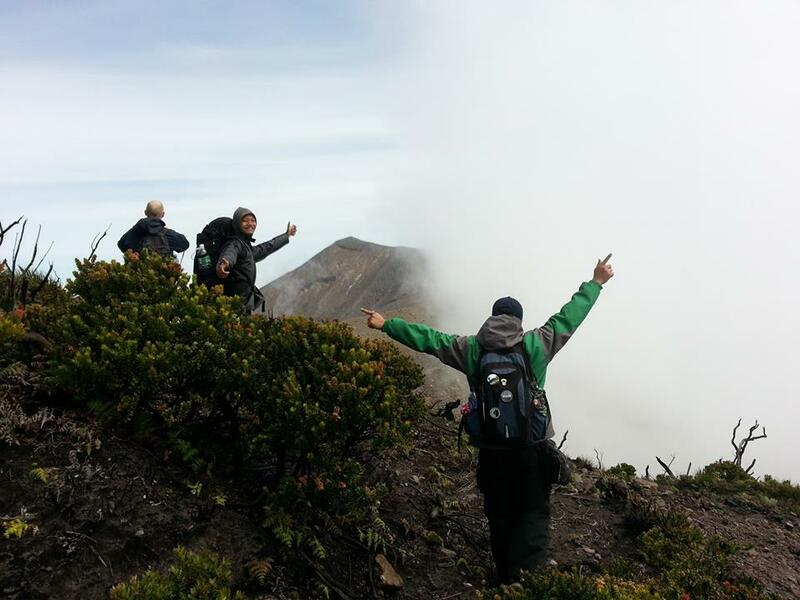 Nice article Daniel, I am one of the hiker from Mapala Unand who opened the Kacawali route. We call it, “Pajar Summer” expedition. 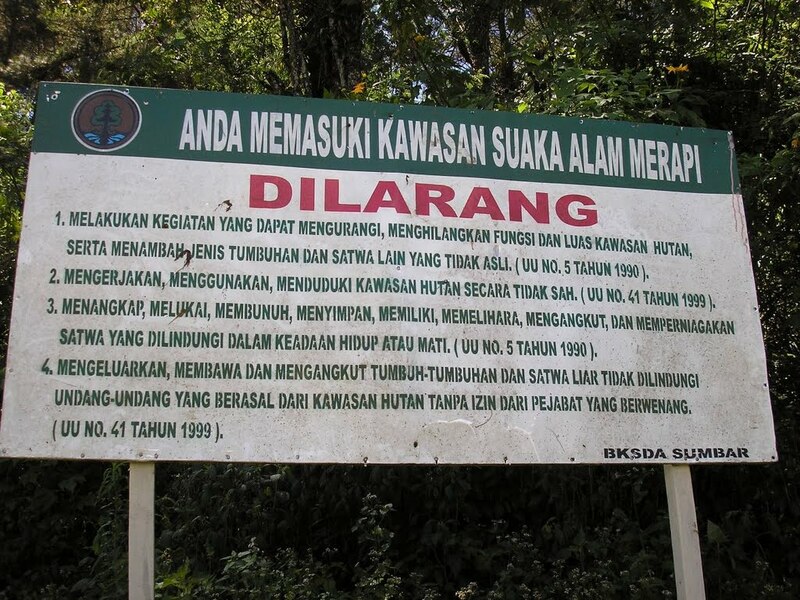 The article really give complete information about Marapi mountain. If any of you need more information or local guide, please contact Mapala Unand Office +62751-7877087. Or visit us on the web. Marapi (also called Merapi Sumatera sometimes) is incredibly easy to bag. If you stay in Bukittinggi, you have a plethora of options (from personal car/ taxi, bus, or even ojek) to go to Koto Tinggi. This hamlet is on the road to Padang Panjang, right before Pandai Sikek. The road to the path goes up on your left from the main road; look for a Pangkalan Ojek to mark the turn-off. It is about 6km up to the end of the road and start of the trail. Once you’re on the trail, it is fairly well marked up to the crater. The trail is also very well worn, so easy to follow. 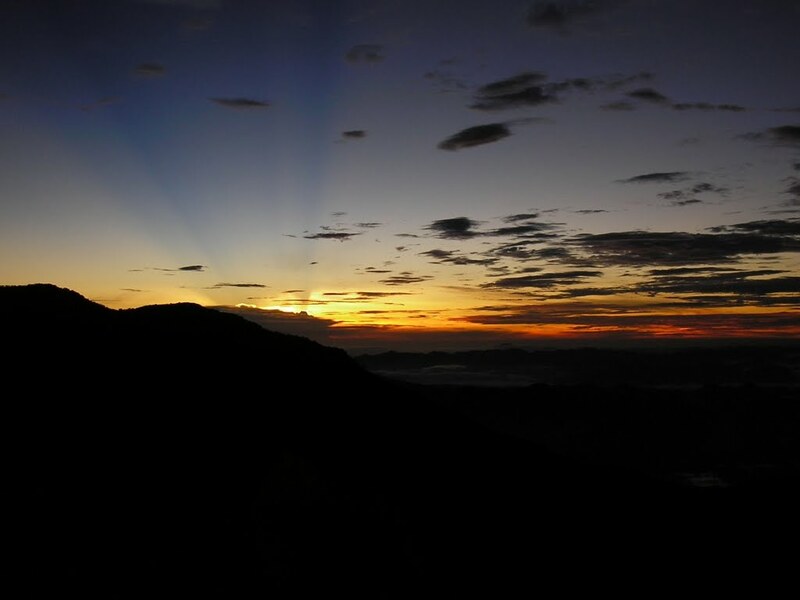 Still, if it is your first time, and especially if you want to hike at night to catch sunrise, it is best to take a guide. They are plentiful in Bukittinggi, especially in the main strip from the Jam Gadang to the bridge across Benteng park. 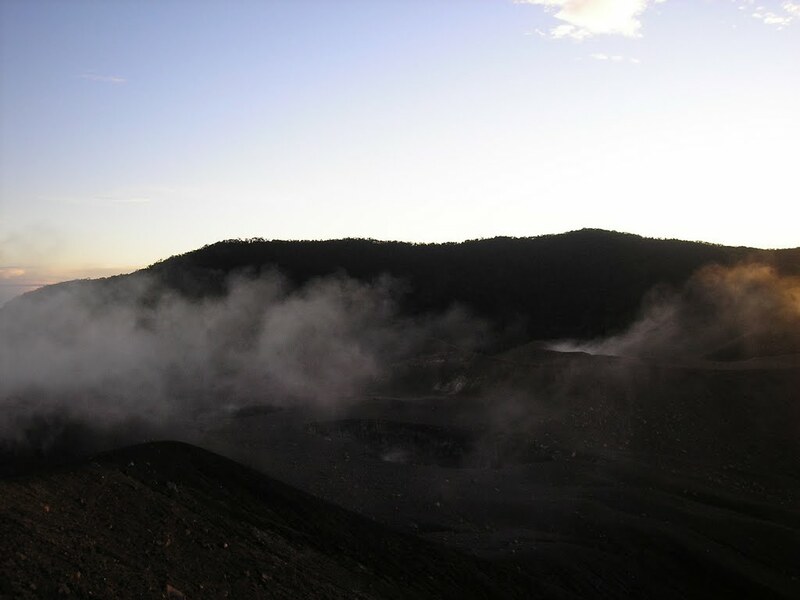 Guides will also know if the mountain is off-limits for being particularly active– remember that this is the most active volcano in the region, and several hikers have been injured in the last decade from unexpected emissions of burning hot gas and lava bombs. Although these are very rare, it is always best to check with a local contact before climbing.